Warehouses are overflowing as manufacturers pile up everything from printing ink and packaging to aircraft parts and tinned food while the U.K. prepares to leave the European Union in 10 weeks with no trade rules in place. Brexit is unlikely to feature in the annals of military history, but Britain is getting a taste of wartime stockpiling again. Away from the political conflict in Parliament, companies are busy turning the country into a warehouse as executives prepare for the economic chaos that the government and opposition parties have yet to demonstrate they can avoid. The U.K. is due to leave the European Union in 10 weeks and, as of now, there’s no deal in place to ensure trade routes aren’t strangled. Factory floors and storage facilities are filling up as manufacturers accumulate everything from printing ink and packaging to aircraft parts and tinned food. Business Minister Richard Harrington declared that “nearly every square meter” of warehouse space in the country is now full. Businesses from engine-maker Rolls Royce Holdings to brewer Heineken have outlined plans to hoard in case a tumultuous Brexit chokes just-in-time supply chains and creates backlogs at ports. Associated British Foods, whose products include some of the country’s most popular tea, bread and sugar, is buying ingredients, packaging and machinery ahead of time to mitigate the risk of any disruption. Drugmakers are adding to inventories of key medicines such as insulin. Tharsus is stocking up on the motors and pumps it needs to keep producing for its clients around the world. It’s also increasing output to ensure it can deliver April’s demand in March, the month the U.K. is due to leave the EU. The events of this week will have compounded the concerns of corporate Britain. Prime Minister Theresa May’s Brexit agreement was resoundingly rejected in the House of Commons on Tuesday in the biggest defeat for a leader in modern British history. She won a no-confidence vote in her government 24 hours later before starting cross-party talks on how to navigate the country out of its political paralysis. So far, opposition Labour Party Leader Jeremy Corbyn is refusing to engage. May has until Monday to come back to Parliament with a Plan B. While a majority of members of Parliament have indicated they’re opposed to a no-deal Brexit, that’s where the U.K. is headed unless May and the EU agree on a way to avoid it. The result is companies dipping into their money reserves in an effort to mitigate what they see as not only the worst-case scenario but an increasingly likely one. IHS Markit, a research company tracking businesses, reported an almost record increase in stock in factories in December. At Tharsus, the cost of stockpiling and the premium hours worked by staff, as the company creates a “false peak” in production, is running into seven digits, according to Palmer, the CEO. Whereas last year, it was mainly big multinationals that were stockpiling, now the smaller ones have joined in. “There’s been an awakening in the supply chain over the last few weeks,” Phipson said. “It’s gone right down to the smallest companies at the beginning of the chain” as customers demand their suppliers hold stock, he said. It isn’t confined to manufacturers. At MI Supplies, Managing Director Alex Ingham normally ensures he keeps about $129,000 worth of the work clothing he sells online mainly to self-employed tradesmen such as plumbers and electricians. Sourced from Poland, Denmark, the Netherlands and Sweden, he can usually order them in with three or four days’ notice. Now, worried that Brexit might slow down operations, Ingham has increased his stock of garments from brands including Carhartt and Helly Hansen by about a fifth, and if by March there’s still a chance of a no-deal Brexit, he plans on holding 60 percent more than his normal stock. At Trafalgar & JF Marquees in London, James Morris is also feeling the pressure. His business employs 30 people and provides marquees for corporate clients such as BP, weddings and sports events. He imports carpets from France, plastic sheeting from Belgium and marquee frames from Germany. He plans to double stock across the board and is also looking at alternative suppliers in readiness for a no-deal Brexit. The government has ramped up its own no-deal planning and has urged supermarkets and drugmakers to stockpile. Last week, both Tesco, the country’s biggest retailer, and Marks & Spencer Group outlined their plans to build up supplies. 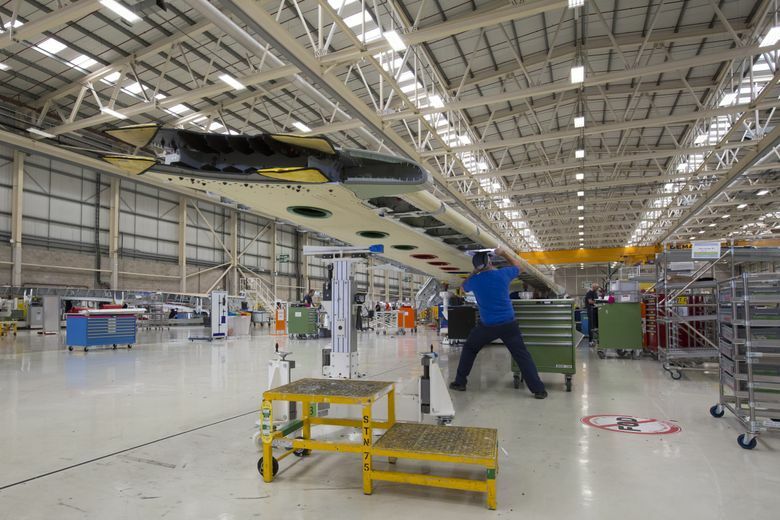 They join the likes of Rolls Royce, which confirmed in December for the first time that it’s hoarding parts and Airbus, which makes aircraft wings in Britain and announced its own plans in July. Drugmakers Astrazeneca, Pfizer and Novartis are also boosting supplies. It’s not as easy for others. Manufacturers with complex supply chains like automakers need to keep the same amount of each component. Without even one tiny part, you can’t produce a car, and there are thousands that go into a vehicle. Warehousing firms that typically operate at about 75 percent to 85 percent capacity in January are now above 90 percent due to the Brexit effect, said Peter Ward, chief executive officer of the U.K. Warehousing Association. “It’s been aligned with the realization that a day-one no-deal scenario was looking more probable,” he said.